Lucille Ball was a rare combination. She had that ability to take the pie-in-the-face, do all-out slapstick, without holding back or worrying what her hair looked like, and all the while remain absolutely gorgeous. The only other actress I can think of that mastered this quality was Lucy's idol, Carole Lombard. Since Lucille started her career in the spotlight as a model, it was indeed her looks (coupled with an iron-will) that got her foot in the door. But it was her masterful talent for comedy that set her apart from the glamour girls around her and gave her career a new direction when her film success began to decline. It all began on Sunday, August 6, 1911, when Lucille Desiree Ball was born in her grandfather's apartment in Jamestown, New York. Her father was Henry Durrell Ball. When Lucille was very little he became ill. His condition worsened until what had been the grippe turned into typhoid fever. He died when Lucille was just three years old. Desiree Hunt, "DeDe", was Lucille's mother. By the age of twenty-three, she was a widow, and four months later gave birth to her second child, a boy. They named him Fred, like his grandfather, Fred Hunt, with whom they lived. It was Grandpa Hunt, not the man DeDe married three years later, Ed Peterson, who would step into the role of father for Lucille and Fred. They called him "Daddy". He purchased a house in Celeron for the family to live together. Fred recalls about their childhood, "We didn't play - we worked." As the eldest, Lucille had the added responsibility of looking after her little brother and cousin Cleo, but they of course did make time to go to nearby Celeron Amusement Park where Lucille first caught the acting bug. She fell in love with vaudeville and decided that's what she wanted to do- make people laugh! At school she and her friends would put on amateur shows where Lucille would do everything from acting, to putting together costumes to sweeping the floor after the performance! When Lucille was sixteen an event took place that changed their family life forever. Grandpa Hunt had set up a tin-can target and very cautiously explained to his grandchildren and a girlfriend of theirs how to use the gun. When it was their friend's turn, just as the girl pulled the trigger, a neighborhood boy jumped up to answer his mother calling him and he was accidentally shot. He was paralyzed and his parents sued Grandpa Hunt for everything he had. He was charged with negligence for allowing a minor to shoot a gun. They lost the house in Celeron they'd all lived in together and moved into a small apartment in Jamestown. Lucille remembers these incidents as setting off a particularly rebellious stage in her young life. She began running away so much that finally one day DeDe asked her if she would like to go to dramatic school in New York. Needless to say, the answer was yes. At the age of seventeen Lucille entered the John Murray Anderson-Robert Minton acting school in Manhattan. At this first stage in her professional training her instructors were not the least bit impressed. They sent a letter home to DeDe that basically said Lucille was wasting her time and the family's money- she had no future as an actress. Nevertheless, she stayed on in New York and continued auditioning for stage productions. She did manage to land a few showgirl parts and get her first modeling jobs despite the increasing awkwardness she was feeling in those days. She maintained her resiliency, later saying "For some incomprehensible reason, I knew that some day I'd make it as an actress." One of the things she thought would help was a new name. 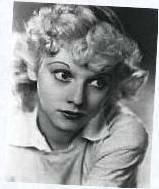 Lucille began telling people she was Diane Belmont, from Butte, Montana (a name and birth place she thought sounded more glamorous than Lucille Ball from upstate New York.) 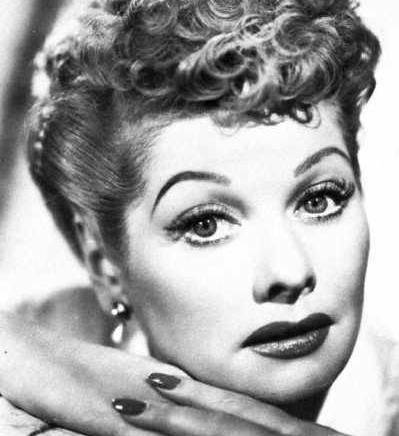 Lucille recalled that years later people she knew from this time still thought "Lucille Ball" was her stage name! Eventually she landed a job as a model at the upscale fashion house of Hattie Carnegie. Lucille was a good high-fashion model and endeared herself to Hattie. She was leading a very hectic life-style and one day, just standing, having a dress fitted she suddenly collapsed. Racked with pain in her legs, she was told she had rheumatoid arthritis and was forced to go back home. For about the next two years she had to use a wheelchair. Back in Jamestown she received treatment for her condition and recovered so that by the Spring of 1931 she headed back to New York where she continued her modeling career and ended up on a Chesterfield Cigarette ad that was plastered all over the city. Then one day, theatrical agent Silvia Hahlo was looking for a girl to take out to Hollywood to be one of Samuel Goldwyn's "Goldwyn Girls". She'd had all the girls she needed until three days before they were to head west, when one of the girls backed out. One day, as luck would have it, Silvia ran into Lucille. Having seen her in the Chesterfield ad, she offered her the job. Three days later Lucille was on her way to Hollywood, where she appeared in her first film, Roman Scandals, in which she played a slave girl. From there she began a hectic schedule of playing a string of bit-parts where sometimes she wouldn't even know the title of the film she was working on! Her comedic talent began to be brought to light somewhat, and she got more jobs than the other girls, because she "took the slapstick parts the other starlets spurned, and never whined about the siphon water and pies in the face." She worked very long, hard days but loved the experience she was getting. Her brother Fred had moved out to Hollywood with her and when they saved up enough money they sent for the rest of the family. It was about this time that Lucille got what she called her "second major break", a contract with RKO Pictures. Her first assignment was a bit part as a model in the Astaire-Rogers film, Roberta. She became good friends with Ginger and made the acquaintance of another person who would be influential in her young career, Ginger's mother, Lela. Lela was in charge of RKO's Little Theater where she would help out many an aspiring young starlet. Lela took Lucille under her wing, helped her with her acting and diction and, Lucille says, became "the first person to see me as a clown with glamour." Under Lela's tutelage over the next two years Lucille continued to develop her abilities in performances at the Little Theater and continued appearing in bit parts in pictures. The training with Lela lead her into the next stage of her film career in 1937, when she was given a small role in Stage Door. It was a major "A" production that starred RKO's biggest female stars, Ginger Rogers and Katharine Hepburn. Her part was small, but she made the most of it. She had just made the jump from bit-player to small supporting parts in "A" pictures and leading roles in "B" pictures. Harriet Hilliard (Nelson) and Betty Grable in Follow the Fleet. Right: On the town with her boyfriend at the time, Al Hall. Lucille loved working at RKO. She never complained and would do anything they asked of her because she was always learning something new and gaining experience in the movie business. She soon became known as RKO's "Queen of the B's". She also earned a reputation for being a clown on the set and was a very popular and well-liked girl. She had an active social life, dated often and had a lot of friends in Hollywood. Her longest relationship during her first years in Hollywood was with director Al Hall. Their "easy, relaxed relationship" lasted five years. Meanwhile her acting career was going strong, on a small scale at least; the "Queen of the B's" was cast in film after film. One day Lucille was told that RKO had bought the film rights to the hit Broadway musical, Too Many Girls, and that she would be given a starring role in the picture. For now the show was still on Broadway so in the mean time she co-starred with Maureen O`Hara in Dance, Girl, Dance, in which she played a tough, wisecracking burlesque queen. During filming of this picture, the members of the Broadway cast of Too Many Girls that were to be in the film version were brought out to Hollywood. Among them was the charismatic Cuban conga-player who had stolen the show and wowed New Yorkers, Desi Arnaz. There's a scene in Dance, Girl, Dance where Maureen and Lucille's characters get into a catfight. This is the scene that was being filmed one day when Too Many Girls producer George Abbott was lunching with the show's New York cast in the studio commissary. She was still in full makeup, complete with black eye and torn dress when Abbott introduced Lucille to Desi. There weren't many sparks between them at this first encounter, but later that day, what would become the cast of the film version of Too Many Girls were having a get-together. Lucille was all cleaned up and dressed neatly. Desi didn't even recognize her. They were re-introduced and started talking. They flirted a while, he offered to teach her how to do the rhumba, and they went to a nightclub called El Zarape with the rest of the cast. Lucille said "I might as well admit here and now I fell in love with Desi what, bang! In five minutes. There was only one thing better than looking at Desi, and that was talking to him." They had a whirlwind romance that began immediately. Everyone who knew them at the time agrees it was like love at first sight, that they could barely keep their hands off each other. For all the things working against them, they were too head over heels in love to care. Immediately after filming Too Many Girls Desi had to go back to New York to fulfill an engagement at the Roxy Theater. 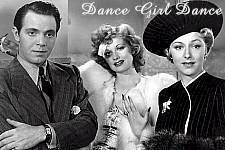 They kept up a tempestuous long-distance romance until finally Lucille was able to go to New York to do publicity for Dance, Girl, Dance. When she arrived at her hotel she gave an interview in which she talked about how she and Desi had decided not to get married. That night Desi told her that he made arrangements for them to elope. They were married the next day, November 30, 1940 at the Byram River Beagle Club in Greenwich, Connecticut. A few months later they bought their first home, a ranch house at 19700 Devonshire Boulevard in the Chatsworth section of the San Fernando Valley. They named their new home, "Desilu". It had a big backyard with a swimming pool and was the sight of many parties they threw with all their friends and family. Lucille's brother Fred says this time of their marriage was "probably the happiest". While their romance had always been tempestuous, their love for each always seemed to overcome any fights that came up. hair newly dyed a color known as "Tango Red". Meanwhile, Lucille's film career seemed halted at the "Queen of the B's" stage. She was a success in the drama The Big Street, with Henry Fonda, but she was approaching the end of another stage of her film career. Lucille made one last picture under contract to RKO, Seven Days' Leave, then after seven years at the studio, her contract was ended, and in August of 1942 she signed on with MGM, the studio with "More stars than there are in the Heavens". 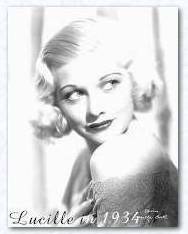 She was in a whole new league now, MGM was the most prestigious studio at the time and once again she began being "groomed" for stardom. Her first MGM film was the splashy Technicolor musical Dubarry Was a Lady. Meanwhile, the world was at war, Desi was drafted in 1943 and Lucy continued making movies. This was also the year Lucille's beloved "Daddy", Grandpa Hunt, died. It was a sad and lonely time for her. She missed Desi and desperately wished they would have a child. Even though an injury had caused Desi to be stationed at a nearby hospital instead of overseas, she and Desi barely saw each other during this time and jealousies and quarrels grew so bad that in 1944 they were almost divorced. But once again love prevailed and they reconciled. In late 1945 Desi was released from the Army. He had trouble jump-starting his film career again and Lucy and Desi's dream of working together seemed to be getting further and further out of reach. Desi wasn't getting film roles so he started to round up his rumba band again. Once again, Lucille found her career stalled at MGM. They seemed to know less what to do with her than RKO had. MGM was giving her all out glamour roles and she wasn't getting very far. Desi's musical career took him on the road and caused them to be separated again. After walking out on her MGM contract Lucille took a little break and went along with Desi to New York during one of his engagements. But Desi was soon on the road again and Lucille went back to work. She made a few films for Columbia and then decided to opt for something new- a play called Dream Girl. The company would be touring the whole country. The show opened in mid-1947 and was well reviewed. Desi wasn't doing too badly himself but they still had the problem of not being able to be together. Lucy later said, "We'd been married ten years, and been together a year and two months. You can't have children that way- you can't have them over the telephone." By 1949, still very much in love, as their daughter Lucie Arnaz explains, "They decided they were going to have to try a whole lot harder if they were going to make their marriage work." Desi would stop his cross-country tours and a "stay at home" policy was instated. They had a new beginning of sorts. On July 17, 1949 Lucy and Desi were married again. This time in the Catholic Church. Lucille continued her career with the films Sorrowful Jones, Miss Grant Takes Richmond and most promising of all, a new radio show she began doing with Richard Denning called My Favorite Husband. 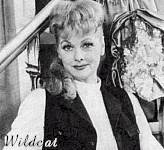 CBS wanted to adapt it to television with Lucille continuing in her role as the wife. All the years they had been married Lucy and Desi had been desperately trying to work together somehow. They saw this television show as the perfect vehicle to bring them together. But of course it wasn't that easy. CBS didn't want Desi to play the husband, thinking the show would not be believable with All-American Lucille married to a Cuban conga-player. Lucy fought them, saying, "My husband is a Cuban conga-player!" She told them she would not do the show unless Desi played the husband. They needed to find a way to show the network that the pubic did like them as a couple. The solution? Vaudeville! 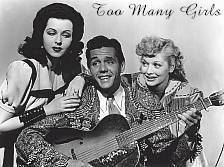 Lucy and Desi put together a road show with Desi's band. With the help of the My Favorite Husband writers, Madelyn Pugh and Bob Carroll, Jr., they put together a few song and dance sketches and comedy routines. Needless to say, the public loved them. Best of all, while doing these shows, Lucy and Desi discovered they were going to have a baby. On the heels of their vaudeville success CBS relented, Desi was in! Lucille and Desi, along with the writers from the radio show and producer Jess Oppenheimer, dreamed up a series for them and put together the pilot episode from parts of their vaudeville routines. The pilot was a staggering success and they found their sponsor in Philip Morris cigarettes. And things only got better, their daughter, Lucie Desiree Ball was born on July 17, 1951. Luckily they were able to achieve their unheard of wish of having the show shot on film, in Los Angeles, in front of an audience. For the parts of their neighbors, Fred and Ethel Mertz, they got established character actor William Frawley and stage actress Vivian Vance, whom Desi and Jess Oppenheimer had seen in the play Voice of the Turtle. She and Lucille actually did become good friends. They were like sisters, they fought, but always loved each other. And as for William Frawley, Lucille said he, "WAS Fred Mertz!" She explained, "the writers took Bill Frawley verbatim" in creating that character. Left: Lucy and Desi celebrate their child's first birthday. Right: "Lucy Is Enciente"- Lucy Ricardo announces she is "expecting". Once everything was set they went into rehearsals and filming commenced. On October 15, 1951 at 9pm EST, I Love Lucy premiered. It was an immediate success. A television legacy was born and Lucy and Desi had found their way to work together. The public couldn't have been more pleased. Their love for each other in real life came across beautifully on the screen. Then in 1952, more wonderful news for the Arnazes - Lucy was pregnant again. While they were ecstatic, they feared it might mean the end of the show. They talked it over with Oppenheimer, the producer and thought, how about having Lucy Ricardo have a baby on the show? With their producer's encouragement, they got clearance for the idea from the network and the sponsors. Lucille Ball's baby was going to be delivered by a planned cesarean section on January 19, 1953. Since it was a Monday, Lucy Ricardo would give birth the same day! Rapidly they went into production of the second season to give Lucille time to rest before giving birth. On the morning of January 19th Desiderio Alberto Arnaz IV was born and that night Lucy Ricardo also gave birth to little Ricky in the episode entitled "Lucy Goes to the Hospital". It knocked Eisenhower's inauguration off the front pages, and for years held the record for being the highest rated episode of a TV show. During the summer hiatus that year Lucy and Desi also made a movie together back at MGM. It was called The Long, Long Trailer and was a huge success. Everything seemed to be going great for the Arnazes, until one September night when columnist Walter Winchell got on the air and declared Lucille Ball a communist. The "Red Scare" was going on in Hollywood at the time. For many creative people in the motion picture industry accused of being a communist it meant the end of their career. For Lucy the charges came about when a voter's registration card of hers from 1936 showed that she intended to vote for the Communist party. Once again they feared it meant the end of I Love Lucy. She testified before the House Un-American Activities Committee, explaining that she had no intention of ever voting communist - She didn't even know a thing about politics! She had only registered as Communist to please her "Daddy", Grandpa Hunt, who wanted his grandchildren to do so. In 1936 it wasn't such a terrible thing, so they did it to make him happy without giving it a second thought. Fortunately, Lucy was cleared of all charges and the show continued to be #1. The public loved her more than ever after her ordeal. The show was at the peak of its popularity and Lucy and Desi were working harder than ever. In addition to acting, Desi also had a hand in the creative and business end of the show. He served as president of Desilu Productions, which meant he was also working on other shows the studio was producing. To the surprise of many people in the industry, Desi turned out to be a terrific businessman. He deserved a lot more credit for the show's success than he got. Lucille's brother, Fred Ball said, "Lucille would never have succeeded the way that she did without Desi...He's the guy that made it work." When the long commute to and from their home in Chatsworth became too much for their busy schedules, the Arnazes finally sold the beloved ranch they'd moved into when they were first married and purchased a beautiful home at 1000 Roxbury Drive in Beverly Hills. Their working hours grew longer, Lucy says Desi got to a point where he was doing "18 hour work days". They also made another movie together, Forever Darling. It was all too much for anyone. They had worked hard and built up a real family business, from scratch they created a production company that was now producing serveral shows and employing hundreds of people. Sadly, maintaining Desilu, did take its toll on the marriage. It put much more pressures on them and they found themselves fighting more. So, in an effort to alleviate some of the constant stress they both were under, after the sixth Lucy season they decided to cut some of the workload by halting the half-hour weekly format of the show in favor of monthly hour-long specials called The Lucy-Desi Comedy Hour. Not long after, in need of more space for their ever-expanding company, Desi purchased RKO, the studio where they had met back in 1940 and Lucy had been "Queen of the B's" so many years before. The purchase made their facilities larger than MGM Studios! That year was Desilu's most successful, but things were not so great between Lucy and Desi. They made one last attempt to save their marriage by taking the kids and going on a vacation to Europe. Unfortunately, the trip only exacerbated their problems. When they returned home they were no longer speaking to each other. By now Desi had also taken over as director of The Lucy-Desi Comedy Hour's. The cast and crew knew the end was approaching. One of the specials a lot of people working on the show remember is "Lucy Goes to Japan", because Lucy and Vivian were in full geisha girl costume complete with the white face makeup and they remember Lucy's eyes being bloodshot red from all the crying she'd been doing. It just wasn't going to work anymore. In the first years of the show, it served its purpose of allowing Lucy and Desi to work and be together more often after ten years of marriage, but as things got bigger and better in their professional lives, their marriage suffered. It was putting more and more pressures on them. In early 1960 they filmed the last Lucy-Desi Comedy Hour. It was not only the end of the show. It was the end of the marriage of America's most beloved couple. After the divorce Desi continued on as head of the studio while Lucille threw herself into work. She went back to movies first, starring in the film The Facts of Life, opposite her good friend Bob Hope. Then she went to work on a new venture, a Broadway show called Wildcat. In the months that followed the divorce Lucille worked non-stop and said she hadn't planned on ever marrying again. Having been miserable the past few months, things seemed to get better when Lucille met stand-up comedian Gary Morton. She married him in November of 1961. In March of the following year she decided to make her return to television with The Lucy Show, in which she was happily re-united with Vivian Vance. Desi served as the show's executive producer for the first few months but was finally able to retire when, in late 1962, Lucille bought out his shares of Desilu Productions. Desi Jr. said of his father, "My dad should have stayed in Cuba and had a little house and a boat. Simple things like home and family and honesty turn him on. Business doesn't, so when he got so hung up on things that were fairly low on his scale of priorities, he ended up hating himself, and that's when he got himself into trouble." Now with some of the old pressures taken off his shoulders, Desi also remarried, the following March, to Edith Mack Hirsh, in Las Vegas. Fortunately, Desi and Lucille were able to remain on good terms. Their divorce was amicable and they shared custody of their two children. Although the public needed some time to adjust to Lucy without Desi, the show did quite well and Lucille was working harder than ever to make it a success. Desi, who had been the brains behind the camera during her I Love Lucy days was no longer there to make sure everything was right, so Lucille tried to take over the task herself. She was not just the star, she was president of Desilu Productions and had a hand in every aspect of her show. Carol Burnett worked often with Lucille: "She definately was tough, but I mean that in the good sense of the word." Unfortunately, The Lucy Show ended after the 1967-68 season, but she immediately went into production of a new sitcom, Here's Lucy, where she had her own children, Lucie and Desi, Jr. play her kids. Here's Lucy did not find the same success of her previous series and ended it's run in 1974. Lucille said, "It was a hell of a jolt to find myself unemployed with nothing to do after more than twenty-five years of steady work." Left: A lovely publicity shot of Lucille. 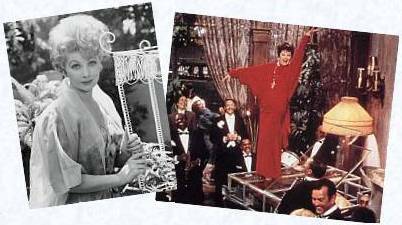 Right: A scene from Mame. In 1973 Lucille returned to the soundstages of a motion-picture studio to begin shooting Mame. Unfortunately, the film was panned by critics upon its release. Over the next few years she returned to CBS by making several television specials until 1980 when she finally left the network she had worked at for the past thirty years and signed on with NBC for another series of TV specials. However, these occasional TV appearances were not enough for Lucy, she wanted to be working steady again. Her close friend Carole Cook noted, "She was bitter. That woman lived to work. And the work was cut off." The next major move she made in her career was in 1985, when she starred in a made-for-TV dramatic film called Stone Pillow. The following year it was announced that she would be returning to the weekly sitcom format with the show Life With Lucy. While some executives and creative people behind the scenes thought it was a bad idea from the beginning, the show went on as planned. Lucy herself had misgivings about going on with the show but she hoped it would do well. Unfortunately, the same old Lucy format they were proceeding with was not going to work this time. 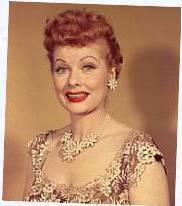 And at the age of seventy-five, Lucille could no longer play Lucy Ricardo with the same vitality she used to. That November the show's cancellation was announced. Lucille was dealt another devastating blow when she received the news that Desi had lost his battle with lung cancer on December 2, 1986. Over the years they had remained close and talked to each other often. She still turned to him for advice. Many close friends of Lucy and Desi's say that even though they couldn't make their marriage work, that relationship was so intense, they never really got over each other. Ironically, the last time they spoke was November 30, 1986, the date that would have been their forty-sixth wedding anniversary. In Lucille's remaining years she lived comfortably in her Beverly Hills home with her husband Gary, and became an avid backgammon player. Professionally, she did a few guest spots on TV specials and appeared at several awards shows, culminating in her 1989 appearance at the Academy Awards alongside her longtime close friend Bob Hope. The two were met with a thunderous standing ovation. Sadly, her health was declining. In May of 1988 she was admitted to Cedars-Sinai Hospital after suffering from a stroke. The following year she was in the hospital again suffering from an aortal aneurysm. She underwent surgery to try and rectify the problem. The following day, the lower part of her aorta ruptured, and she passed away on the morning of April 26th, 1989. The outpouring of grief over Lucille Ball's death was worldwide. I Love Lucy has become the most popular sitcom in television history. It's in syndication all over the world, dubbed into all different languages. Luckily, because the show was shot on film Lucille Ball is still achieving what she'd wanted to achieve since she was a kid...making people laugh. Thankfully, when Lucille first came to Hollywood as a showgirl, she wasn't afraid to look silly by doing comedy, like many of the other girls were. In doing so she allowed the world to enjoy her unique brand of comic genius which we haven't seen before or since.